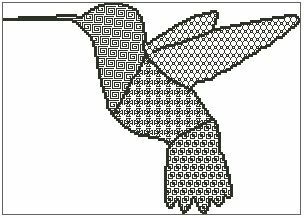 Tribal Hummingbird is a unique outline chart measuring 149 stitches wide by 106 stitches high and has been designed for your to use whatever colours you like when stitching. 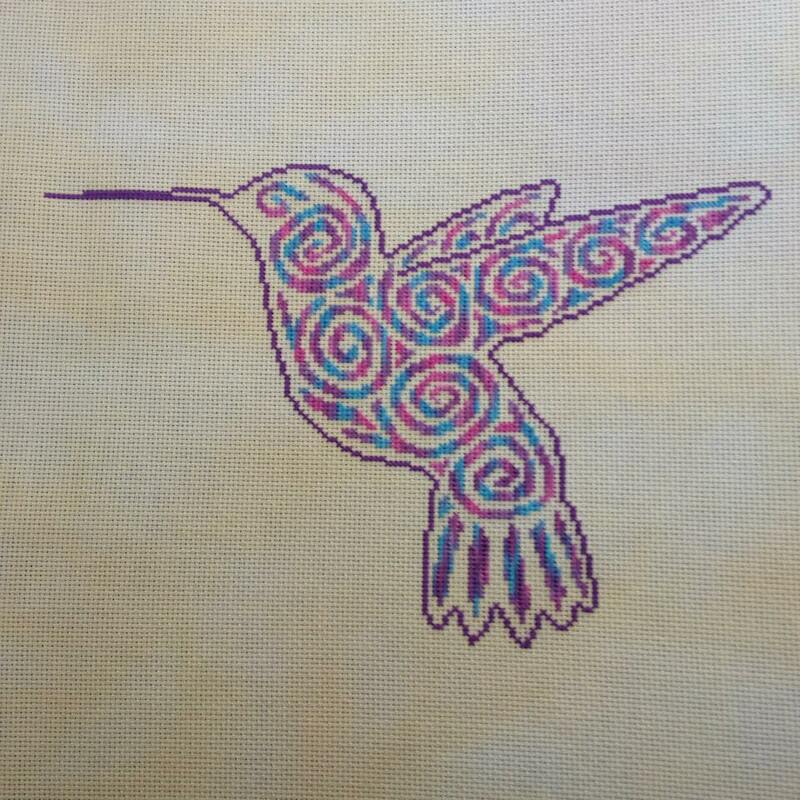 If stitched all in a single colour, it is estimated that you should need two standard skeins of thread. 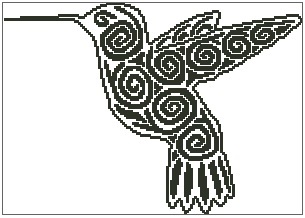 This hummingbird is stunning. I loved stitching it and my sons teacher was over the moon to received it.